Bitcoin has taken a lead and therefore is sitting comfortably at a level of $ 10000 on the previous Thursday. This event has happened for the first time in more than 15 days period; as a result of investors buying back this new age digital crypto currency which had fell up to an extent of two third of its all-time best price; which was prevalent in the middle of December. Bitcoin felt the heat of downfall in the year 2018 by a constant negative propaganda put forward by some of the world's leading financial portals. Bitcoin had also suffered due to tightening scrutiny belt of the regulators all over the world. Some fraudulent transactions too happened which hacked and stole the crypto currency from the exchanges such as the latest one happening in CoinCheck crypto currency exchange in Tokyo Japan happening just a few weeks before. Not just this, but the mood of investors too was going on a swing which has caused a permeated financial situation in the markets since the starting of this year 2018. These mood swings did not take into consideration that the price of Bitcoin in a general way runs independently to the other classes of assets. Since that period public emotion on dicey assets such as Bitcoin and stocks has improved a little. Mr. Thomas Lee who is a partner in management of Fundstrat Global Advisors predicts that a new record high surging-point shall be created by the month of July in the crypto currency Bitcoin. His prediction is based upon the Bitcoin’s 22 correction points since the year 2010. On Bitstamp – which is a crypto currency exchange located in Luxembourg; the price of Bitcoin has rallied to a point of $ 10,234 which is an upheaval of 7 per cent age points in a single day. Mr. 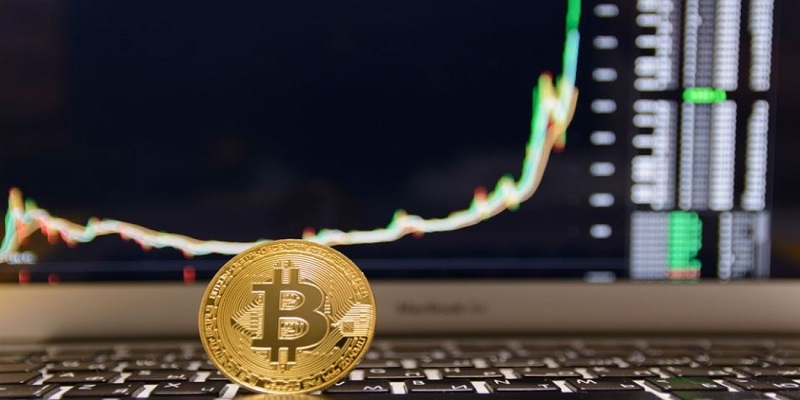 Miles Eakers who is the Chief of Market Analysis Department at FX brokerage fund has espoused his views as the rally in Bitcoin is coinciding with the rally in the world-wide situated stock exchange markets. He further added that a delayed break over the level of $ 10,000 shall open up once again at the level of $ 12,000 soon. This rallying in crypto currencies is just not constrained to Bitcoin only but has trickled down to other crypto currencies too – such as Ethereum, Ripple etc. Ethereum – which is the second biggest crypto currency in terms of total market capitalization has gained to a point that it incremented the value by 2.5 per cent and in the last one day was trading at $ 935. Ripple which is third in the market has gained a whopping 5 % which amounts to $ 1.1 in real terms; as per the reports and data received from CoinMarketCap.